Send a "sign" to 20 people you care about with these charming and stylish handmade cards. Combine the perfect message, sentiment, and embellishments to create a card that's as special as the person you give it to. 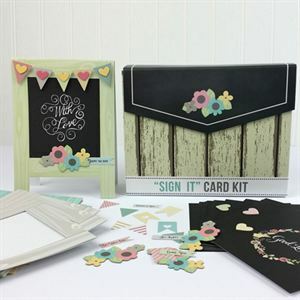 This kit features 20 totally unique chalkboard messages so you're sure to have the perfect one for every occasion!